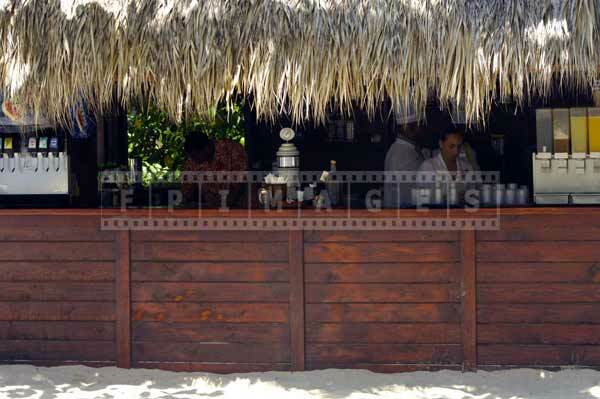 Dominican Republic is a great place to take pictures of stylized modern buildings and tiki bars. 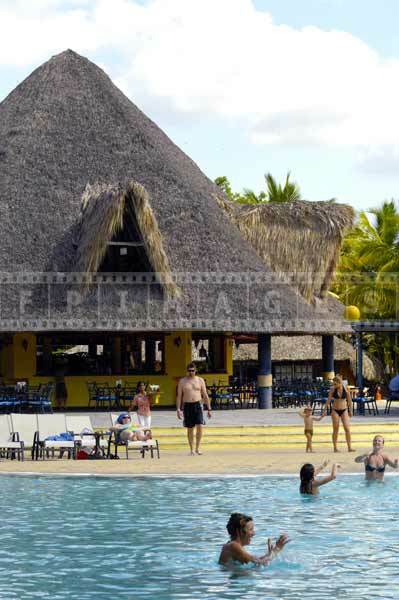 Architectural photography enthusiasts can find true treasures in Dominican Republic that blend African and Spanish styles. 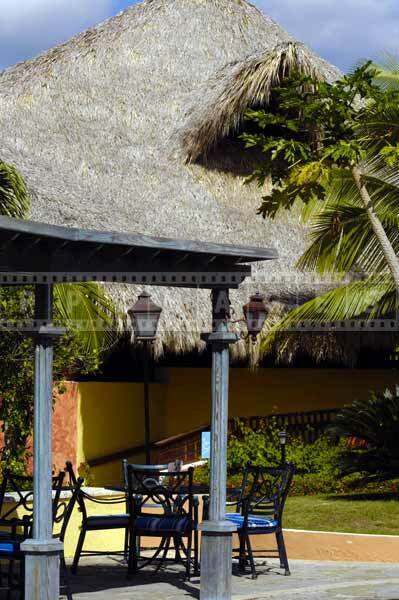 A tiki thatched roofs and soft ocean breeze, Caribbean gifts – paintings and sculptures, golden sand and gorgeous palm trees inspire to bring home spectacular and romantic travel images. 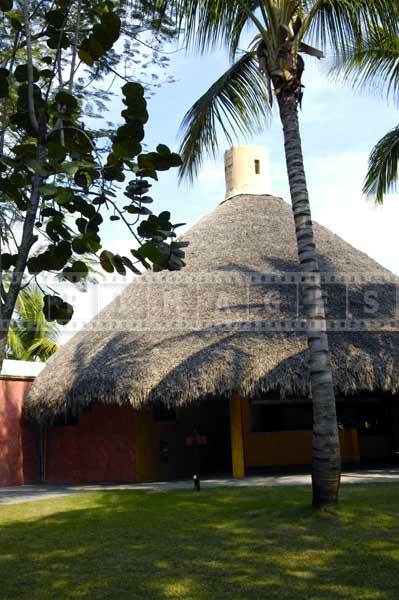 Palapa is a general name for the building without walls and thatched roof that consists of dried palm leaves. 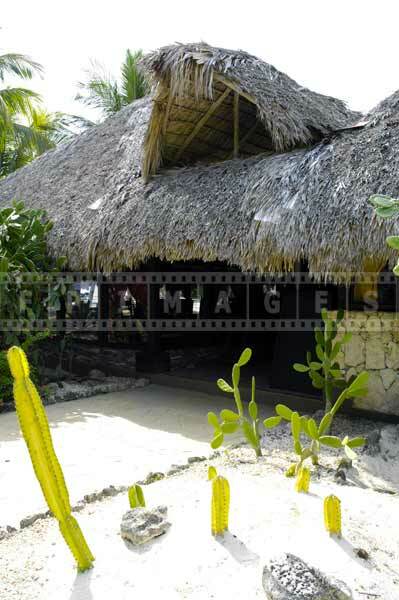 Such a roof adds very authentic tropical feel to the huts regardless of how they are used. 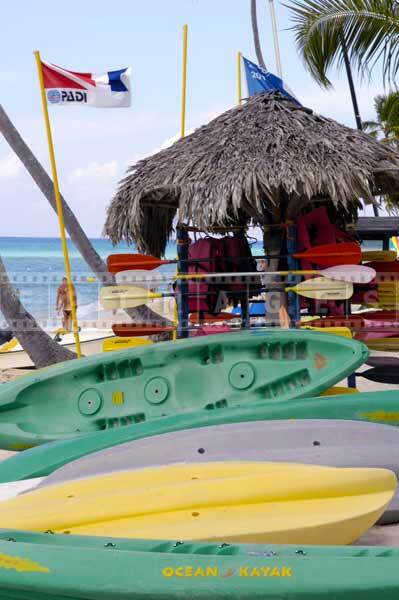 The use of palapas is not only limited to aesthetic purposes, they can also prove to be highly water resistant if they are fabricated and arranged properly. 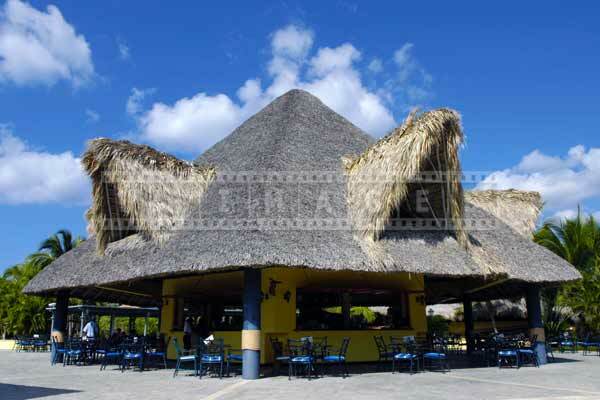 The craft of tiki thatched roof is a result of several thousand years of development which has led to its extremely high durability and versatility. 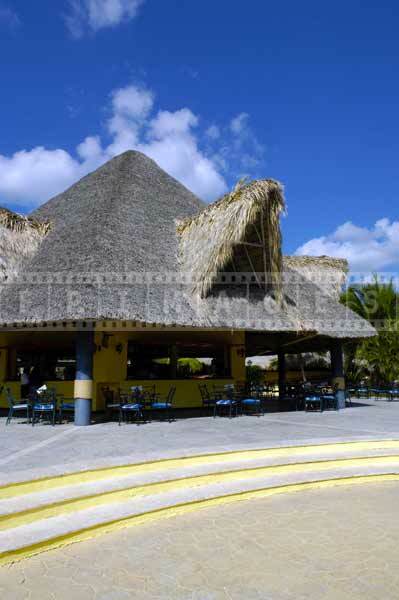 Architects are using this type of roofs a lot in modern buildings in the Caribbean. 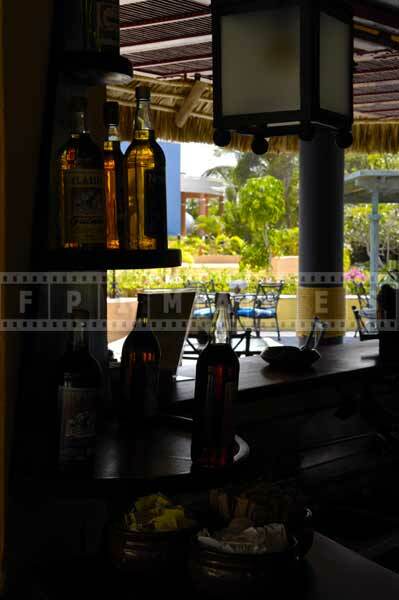 One can make use of several types of palm leaves for this purpose. 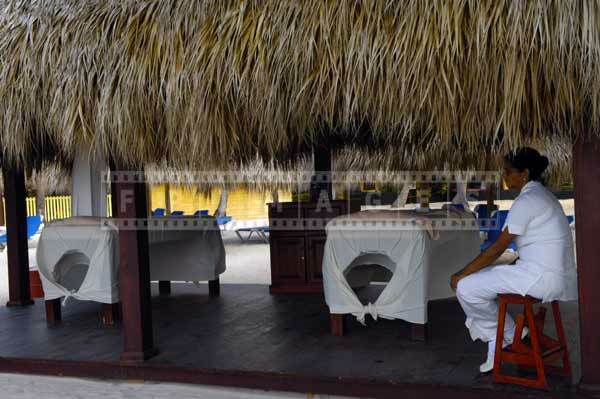 Care must be taken while choosing the palm fronds. The thorny ones must be avoided as they are very difficult to work with. 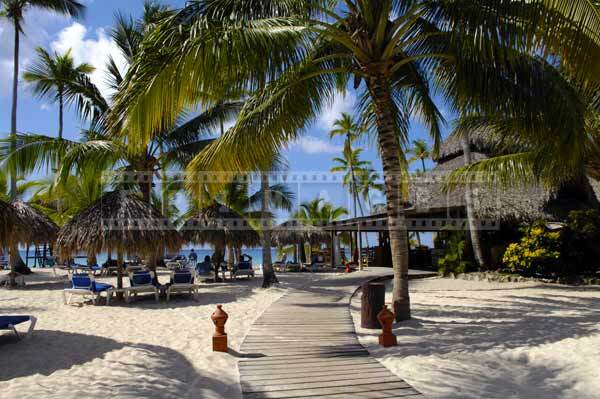 The most widely used types of palm trees are king, queen and kentia palm. Their fronds have long, finger-like, single leaves which branch of the main stalk. 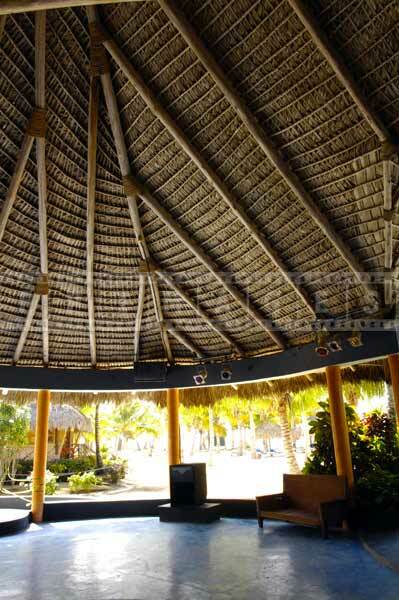 Some extremely famous kinds of palm used are palapas from Mexico, thatch panels from Fiji and cape reed from Africa. 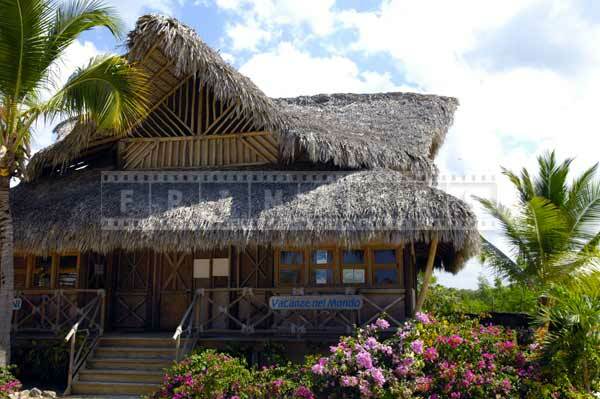 The construction of tiki thatched roofs is fairly simple. 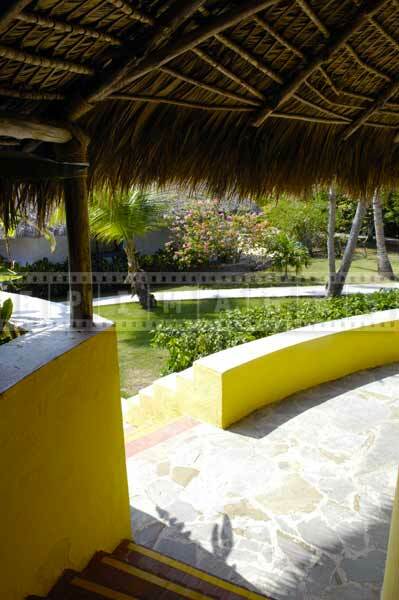 First you will need to chop off a set of fresh palm fronds from the tree and allow them to dry. Alternatively, you can make use of already dried fronds. The leaves are then removed from only side of the stalk while the other side remains as it is. 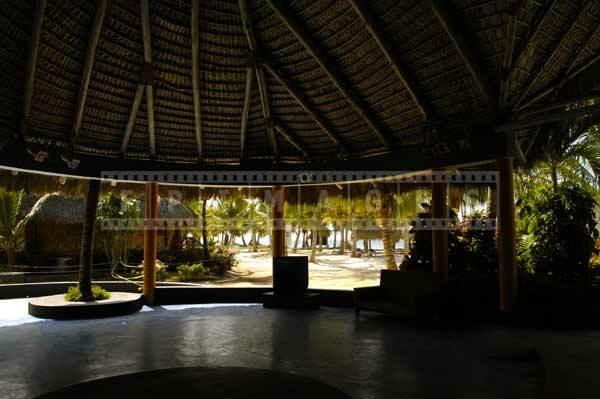 Then the fronds are placed above each other with the leaves facing the same direction. A significant number of leaves are put together and tied tightly using bailing wire. 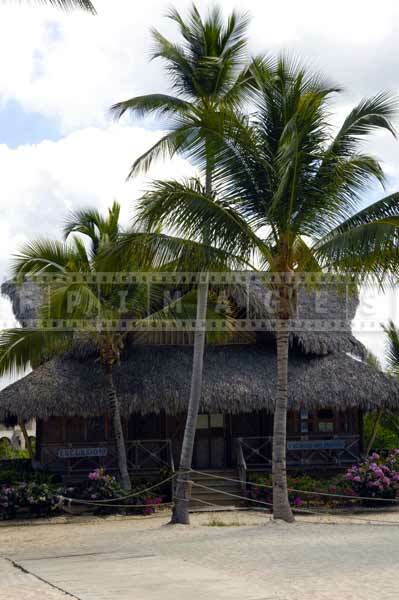 Depending on the width of the tiki thatched roof required, the number of fronds to be used will vary. For example, if a width of a few inches is required two fronds will be sufficient, while at least 10 fronds will be needed to create a width of a foot. 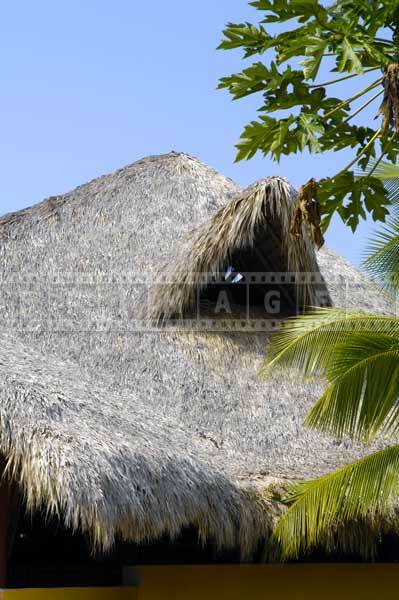 This FPImages photo gallery has several pictures of palapa buildings showing inside structure of thatched roof. These pictures of buildings illustrate the simple yet effective design. 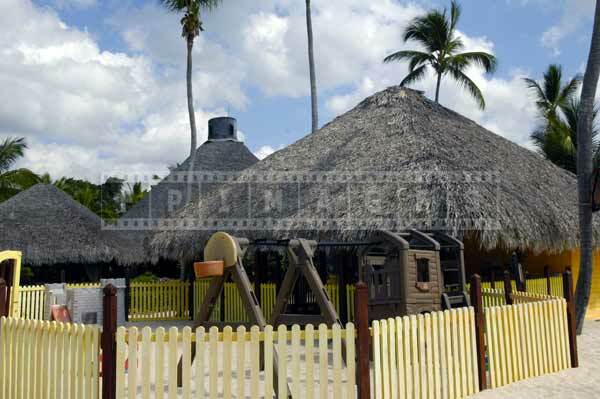 Tiki thatched roofs add immense value to your garden décor as well. They work extremely well with bamboo fencing, bamboo rugs, water fountains, tiki statues or any other kind of bamboo furniture. 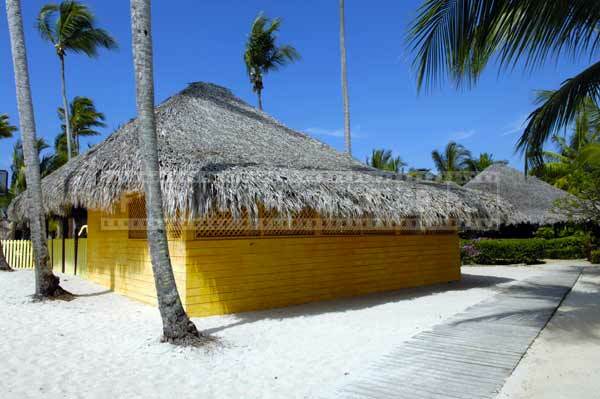 The lifetime of a tiki thatched roof is about 5 to 6 years. This life is reduced if used in very humid climates. 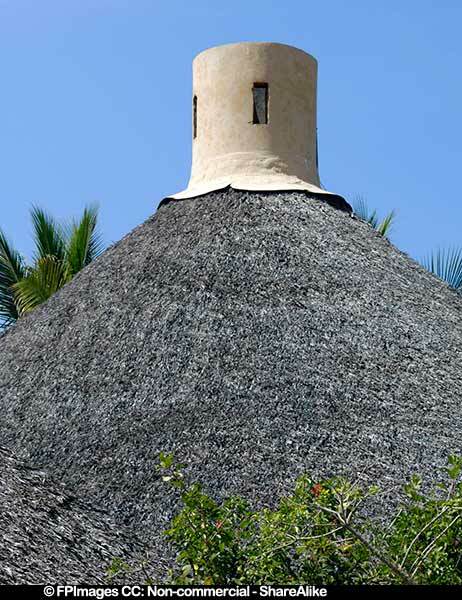 Most roofs can withstand sun, wind and water while some modern synthetic roofs made in Canada are even fire resistant. 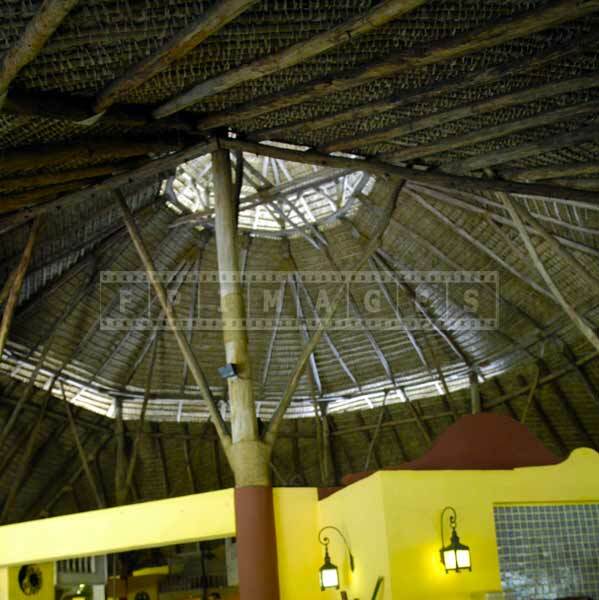 Synthetic roofs will also last longer when compared to naturally prepared roofs.